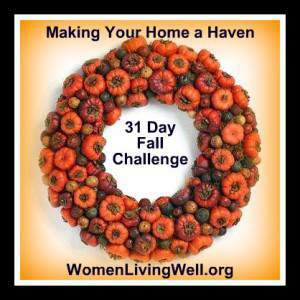 I’m continuing to follow along with Women Living Well’s Make Your Home a Haven challenge this week. I have to be honest, I’m not sure our home really felt like that much of a haven at times this week, even with the candle and the music. Courtney asked us to play some soft music this week and to really focus on choosing our words carefully. I began in earnest the first day this week, playing a local Christian radio station that I usually enjoy listening to. 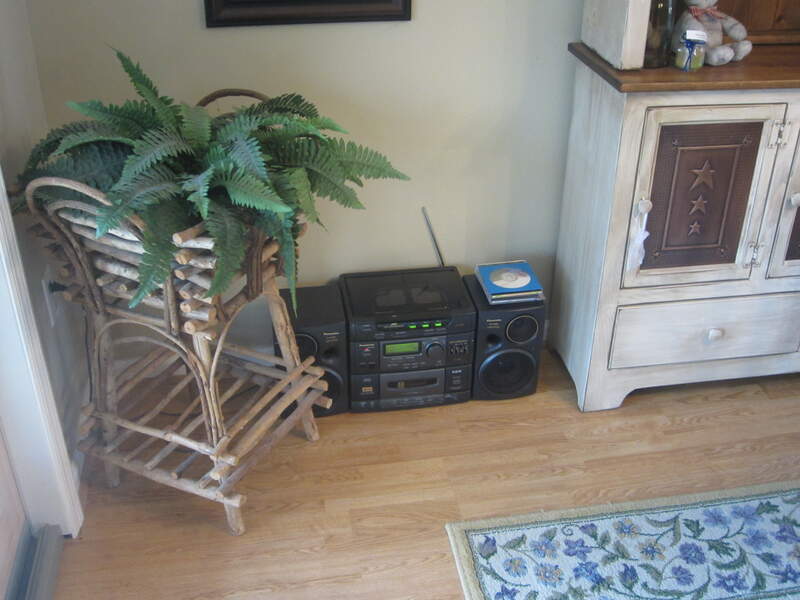 We have our radio right in the kitchen/dining area, so I can hear the music while cooking in the kitchen and throughout the day. This station’s advertising tagline says that they are positive and uplifting, and I really believe that they are…I like the fact that these positive and hope-filled songs get stuck in my head throughout the day and I end up meditating on them as I do things like wash dishes or fold laundry. Other times, I listened to some talk radio, as I sometimes do. I like to hear all the news, but since most of the news isn’t too happy, this doesn’t help me feel more peaceful. The kids even got into the act this week and put on their Vacation Bible School CDs. They would dance around the kitchen while their favorite songs were playing. We all enjoy these CDs, because the songs are catchy and fun….and we love to see our kids dancing with joy and singing about God. Unfortunately, throughout the week, with blog deadlines, design changes, Sunday School projects to plan, doctor’s appointments to get to, the regular stress of life, plus going to bed late every night, I felt less and less peaceful and more and more stressed. I became grouchy with my kids and husband over little things and prayed less often. The music started to become an annoyance, just adding on to the already noisy household. So after the third potty-training accident in three days, this morning I completely lost it with my baby boy. I yelled at him that he was too big to still be having accidents and that I was so tired of washing clothes and shoes and cleaning up puddles. He apologized and looked at me with sadness in his sweet little eyes. I hated seeing that. I felt ashamed and like the worst mother in the world. How could I treat someone who I love more than life itself in this manner? I had to put an end to this as soon as possible. After apologizing for my words and holding him for a bit (he was very busy with his little cars and only had time for a quick hug), I decided a change in music was in order. I went and searched for an old relaxation CD and turned it on. A few moments later, I felt much calmer. I noticed the candle and said a quick prayer for calm and peace. I also went to work organizing my kitchen counter, which had become cluttered over the weekend. That also helped make me feel less stressed. This coming week, I’m going to try to focus on cooking and baking, as Courtney has suggested…and as the Thanksgiving holiday prescribes. I want to focus on earlier bed times, thinking about my words before I speak them, and taking more time to breathe and pray to help feel more calm so that I may make our household more calm for the ones that I love. 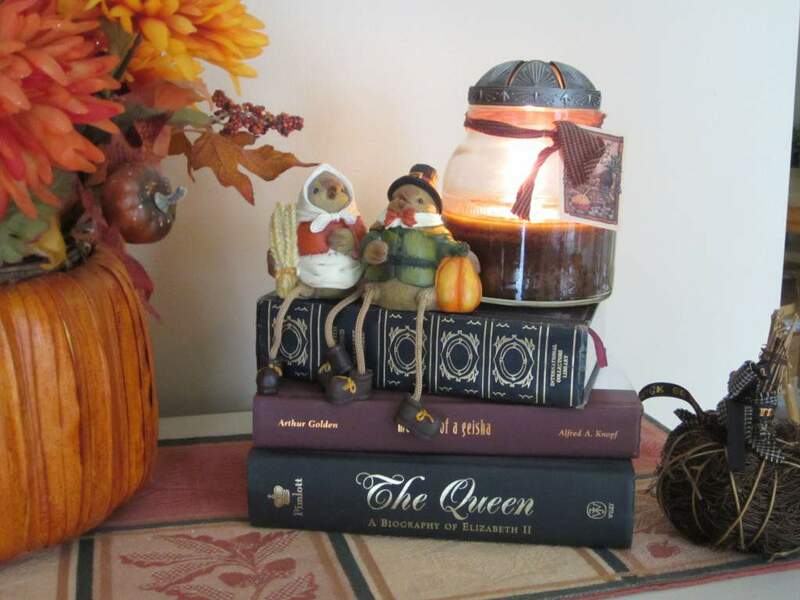 Have you been following along with the Make Your Home a Haven challenge? How is it going in your household? I haven’t been following along but I will be doing some more baking and cooking this week. I need to make some rolls for our Thanksgiving dinner and I am thinking I will do this tomorrow and pop them into the freezer to keep them until Thanksgiving. I feel for you Erin. It is so hard at times to keep up with everything and then one little thing just pushes too much and that is all you can take. Things are said you wish were never spoken. Being a mom is such a hard job. I don’t think there is a caring mother who has not had an experience like you did. I think you did a wonderful thing with going to your son and talking with him and loving him. Little ones seem to have such short memories of the bad and hold onto the good. They also have the ability to forgive more easily those they love. I hope the rest of your week goes better and you feel a sense of calmness as the week progresses.